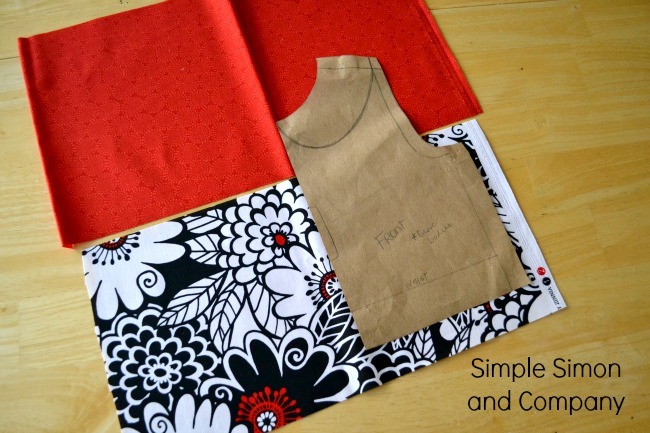 A little while ago we were over at icandy handmade sharing a tutorial for Jen and Autie’s Basic Bodice Series. 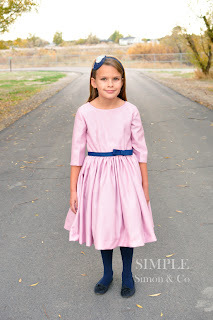 And since I really do like the bodice, and because I did make this dress for her to wear during the holidays I’m sharing the post and tutorial back here on our blog today. Hi! I’m liZ, one of the two Elizabeth’s over at Simple Simon and Company and we are so excited to be participating in Jen and Autie’s Basic Bodice Series. 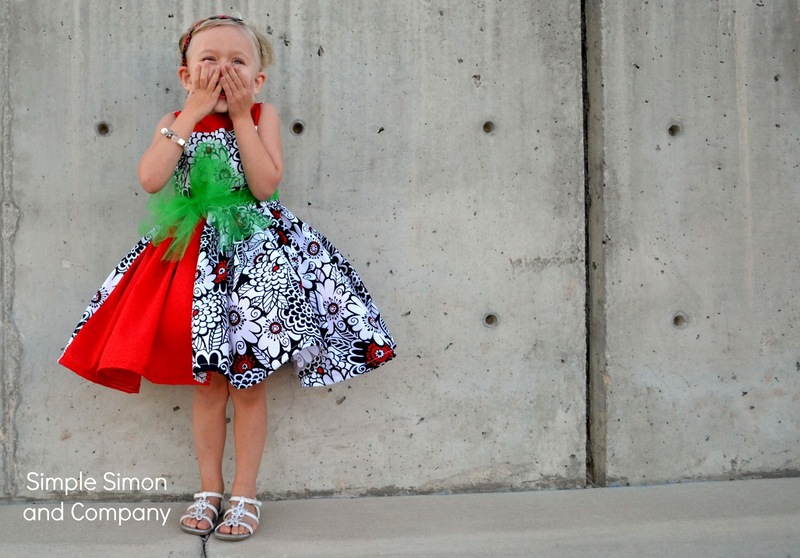 One of our favorite things to make for our girls are dresses, dresses, and more dresses. Elizabeth and I have each drafted basic bodice patterns for our girls that we use constantly as a foundation for most of our dresses. Dresses are so fun. 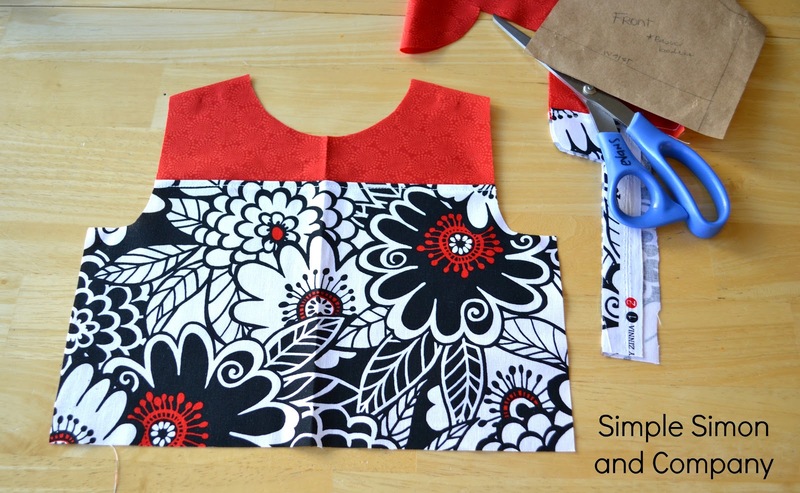 If you find a basic bodice pattern that you like and fits well, stick with it and the possibilities to make from it are endless! 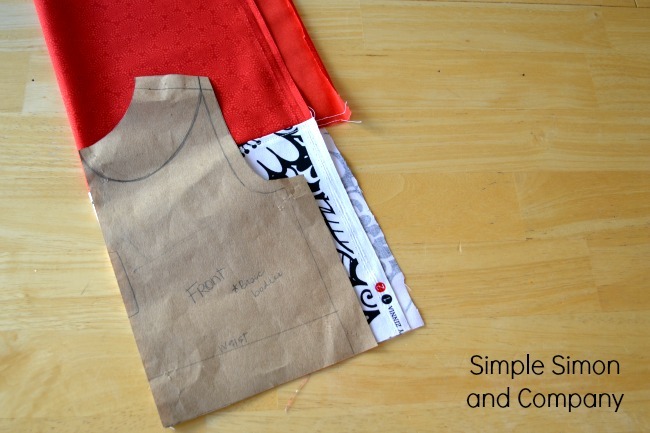 Today I get to share a super simple change you can make to any bodice pattern. Currently it’s one of my favorite little changes to make. It’s simple and easy but adds a lot to your look…especially if you are into the color blocking trend. 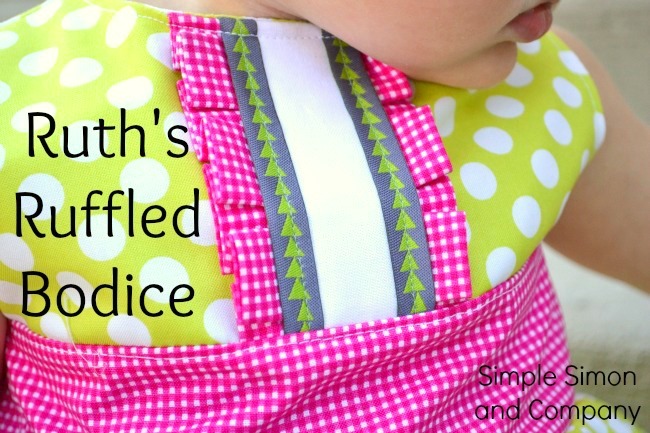 It’s a simplified color blocked bodice. And like I said it’s SUPER EASY to do. The first thing I did was cut out some fabric that would be large enough to trace my bodice onto. I needed a piece for the top stripe and for the bottom. Next, with right sides together, I stitched those two pieces together. After that I ironed (and top stitched) the two pieces of fabric. Once everything was situated like I wanted I cut out the front bodice piece. Then from here I simply continued constructing the bodice and dress like I normally would. Adding the stripe across the top was only a detour of a few minutes! But with a fun outcome! Now this isn’t the dress that I had planned to make. The technique is what I wanted to share but this dress…it’s all Grace. I couldn’t decide between a navy blue maxi dress with some awesome vintage yellow plaid across the top or a mocha colored maxi with white and yellow paisleys across the top. But when I asked Grace to come look through the fabric pile with me she found this fabric in my stash and it was all over. She’s pretty much convinced that this is the best dress ever. Thank you Jen and Autie for inviting us over today. This is such a fun series. We are looking forward to seeing what everyone makes! I’ve started the navy maxi dress that I had planned and mentioned up above…it’s fun…but more than likely won’t be finished until after Christmas…so much to do before then…so very much to do…. 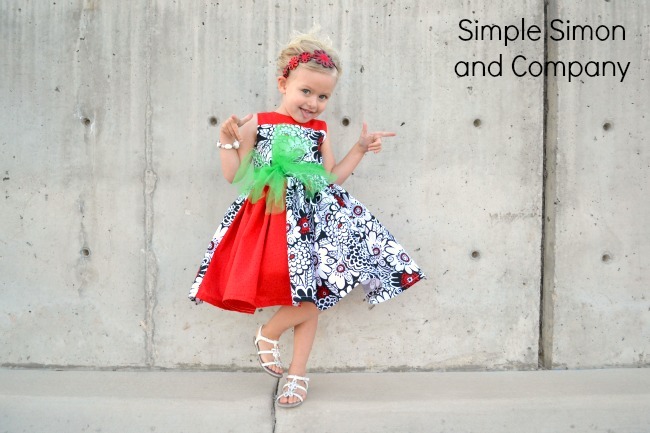 A free sundress pattern. In Orange. I’m seriously obsessed with your blog- you guys have the best styles ever. One of these days you need to make a tutorial on how to get your skirts so poofy. Is it just tulle or do you use a hoop as well? Or do you do crinoline? In this picture Grace is just wearing a slip I made…but you can see it is too short by the way the dress hangs. When I make her a new one (which she needs) I’ll put together a tutorial for it and post it…probably sometime in January. Ditto to the first question – what do you do to get the dress so poofy? Not just what’s under it (i.e. the slip) but also, how do you figure out how much fabric to use for the dress itself because it seems like there’s an awful lot of it, and how do you attach it to the bodice? I’m guessing there’s more to it than just a basic gathering stitch since it seems like the amount of fabric would be kind of heavy to hold with that. The dress would just come apart. I love this dress and my girls (I have 5) would get a kick out of having something so poofy and twirly, but I’m just starting with sewing so I need a lot more details before attempting things. Thanks! Thanks for the great tutorial. This dress is beautiful! Thanks for sharing. Thank you for sharing this tutorial!!! I stopped by from so much ado linky 😉 and I’m a new follower now! This is quite inspiring! Thank you! This dress is so much fun! 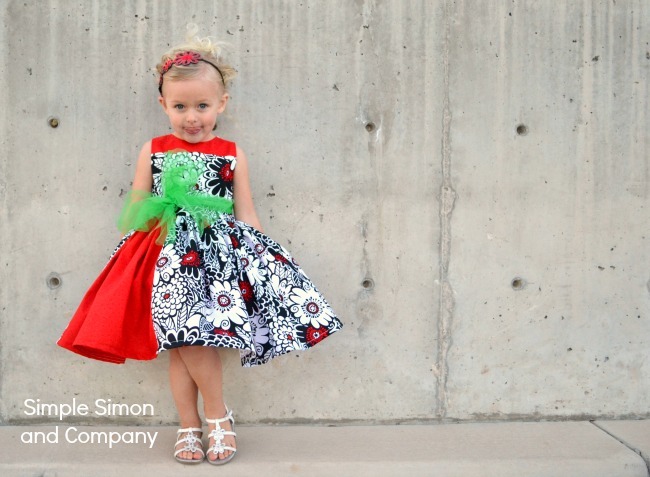 My girls love “twirly” dresses. 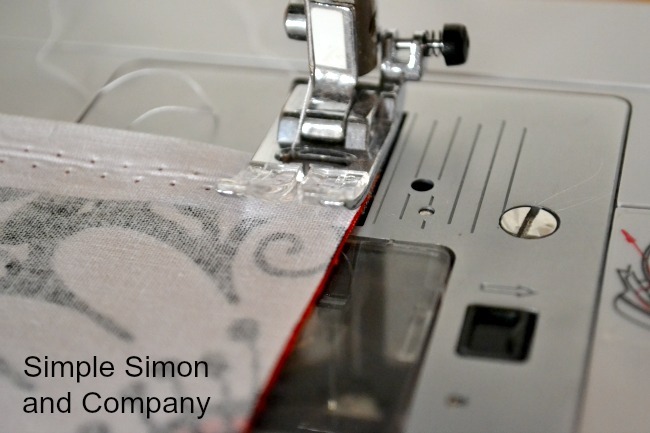 Did you make the petticoat yourself? So cute. 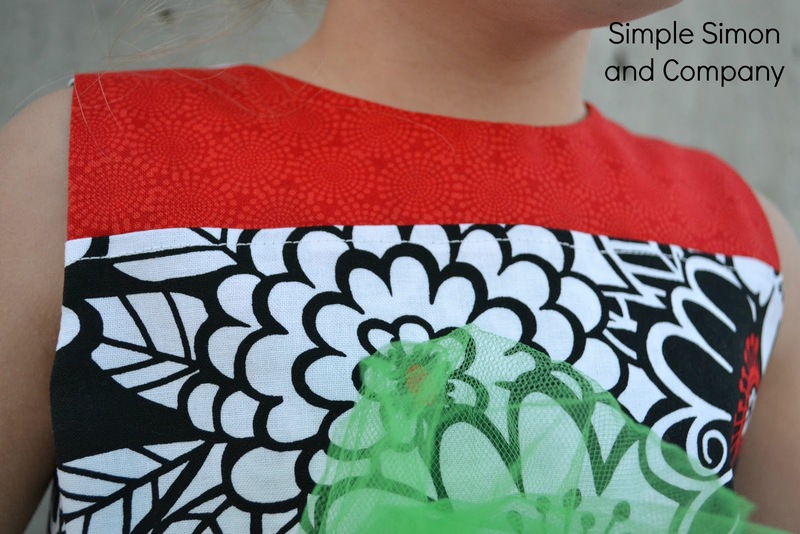 I love red, black and white color combos… Love your blog too. Hello. how did you make the shirt? and did you sew the two pieces together?